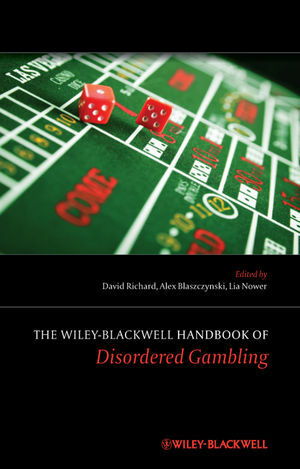 The Wiley-Blackwell Handbook of Disordered Gambling is a complete guide to the current empirical literature relating to the conceptualization, assessment, and treatment of disordered gambling. The international contributors are all experienced, practicing clinicians who discuss gambling within a global context. David C S Richard,Ph.D., is Dean of the Hamilton Holt School and Professor of Psychology at Rollins College in Winter Park, Florida. His research interests include behavioral analysis of problem and disordered gambling and risk-taking, trauma, measurement development, and the relationship between nutrition and mental health. He is co-editor of the journal International Gambling Studies. Alex Blaszczynski is the Professor of Clinical Psychology, University of Sydney, Director of the University of Sydney’s Gambling Research Unit, and Director of the Gambling Treatment Centre. In 1995, Professor Blaszczynski was a co-recipient of the American Council of Problem Gambling Directors Award, and in 2004, the National Centre for Responsible Gambling senior investigator’s research award for his work in the field of disordered gambling. He is a founding member of the National Association for Gambling Studies, and he is the Editor of International Gambling Studies. Lia Nower J.D., Ph.D., is an Associate Professor of Social Work and Director of the Center for Gambling Studies, Rutgers University. Her research focuses on the etiology and treatment of problem and disordered gambling and co-morbid addictive disorders, gambling-related policy issues, psychometric measurement, and elements of recovery. She is currently co-editor of International Gambling Studies and a consultant and grant reviewer for international, national and state agencies.